Psst! Want to ? I’m giving two away over on my Instagram account. and follow the two quick steps to enter to win. Thank you so much for your enthusiastic response to my first How I Saved Today post yesterday. I think this is going to be such a fun post to put together. I knew I could count on you all to give me great input on repairing glasses with missing screws. I should have just asked you before I tried to fix them myself! But alas, they are fixed and now I had a kit to fix them should a screw go missing again in the future. That said, I’m hopeful maybe there will be fewer lost screws in my future, because I took the advice some of you left and secured my glasses screws with clear nail polish this morning. What a brilliant tip! And one that I would have never come up with on my own. Thank you, all! 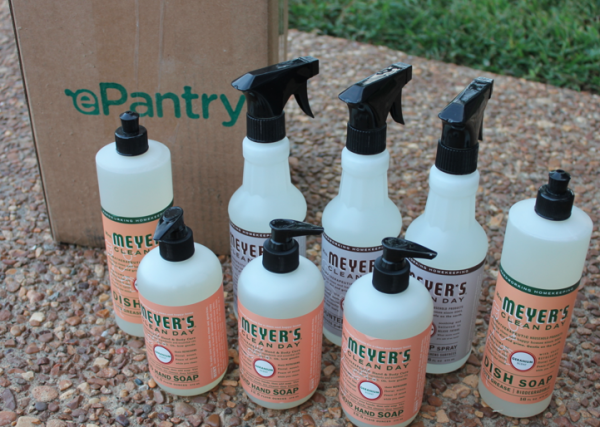 I saved today by making some more homemade foaming hand soap. 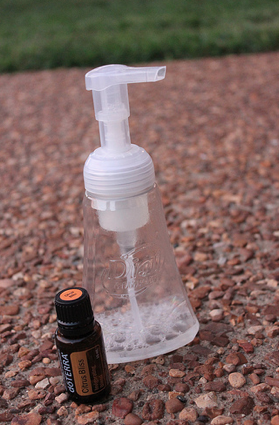 This is SO easy to do and a great way to cut down on hand soap costs. 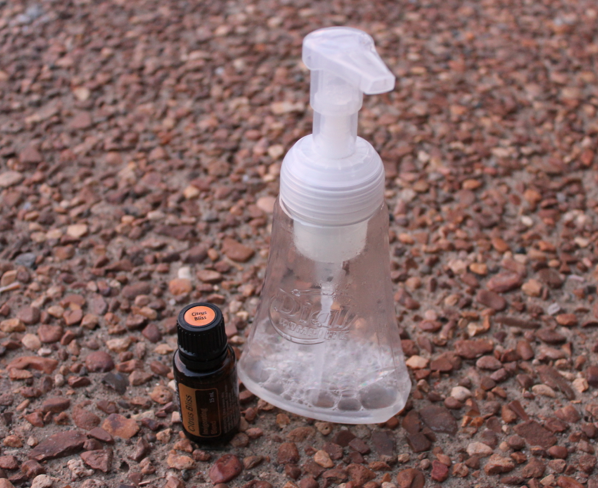 I used a little dish liquid, water, and some Citrus Bliss essential oil for the hand soap today. 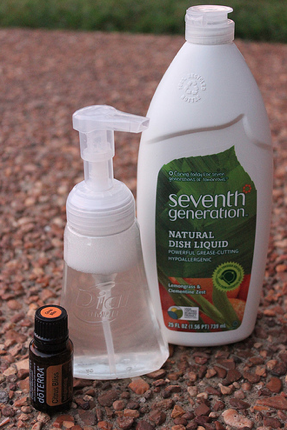 For detailed instructions, see my post on How to Make Foaming Hand Soap. How did YOU save today? Tell us in the comments! For awhile now, I’ve been thinking it’d be fun to have a feature called “How I Saved Today”. This would just be a short post about a specific way I had saved money that day. I can’t promise it will happen every single day, but I’m going to try it out here (hopefully a few times per week) and we’ll see how it goes. I wear s almost full-time as they seem to work better for my eye sight. But I also wear these special glasses when I use the computer. Last week, the screw fell out of my glasses. We searched high and low and could not find the screw anywhere. I wore the glasses without the screw, but the lens kept falling out. I knew I needed a long-term solution, but I also knew that I don’t have an eye doctor here in TN yet. So going somewhere to get my glasses fixed would kind of necessitate having to also schedule an eye exam. Which would cost money out of pocket that we didn’t need to spend since I’m not due for another eye exam for a while. I thought about taping the glasses together, but knew that would just bug me. 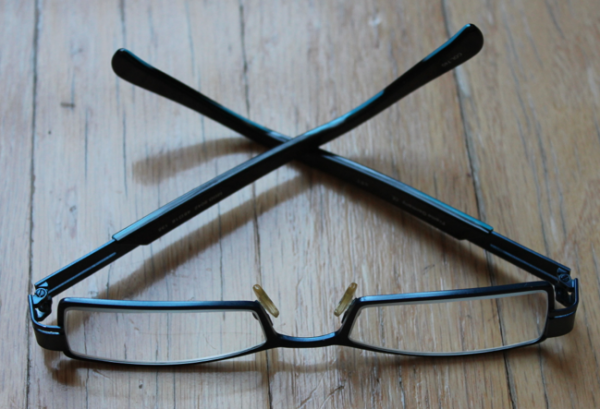 So instead, I bought an inexpensive eye glass repair kit and fixed the glasses myself. It took me all of 5 minutes and they are good as new. Best of all, the eye glass repair kit came with extra screws so I can fix the problem in the future if it happens again to my glasses or Jesse’s glasses. A simple solution, a few minutes of time, and quite a bit of money saved = totally my kind of thing! How have you saved money today? Also, would you be interested in me regularly running a How I Saved Today feature here? Leave a comment and let me know if it’s something that would interest you. У нашей организации полезный сайт с информацией про www.maxformer.com.